At Good Earth Dairy, we were delighted when we were invited by the wonderful team at The Herdsman to share our story with you. The Australian outback is home to the largest herd of camels in the world. Feral camels now number in their hundreds of thousands. Their large numbers gave the Australian government cause to implement culling programs in 2009, however their enormous potential and ability to produce superior milk to that of the common dairy cow was being overlooked. 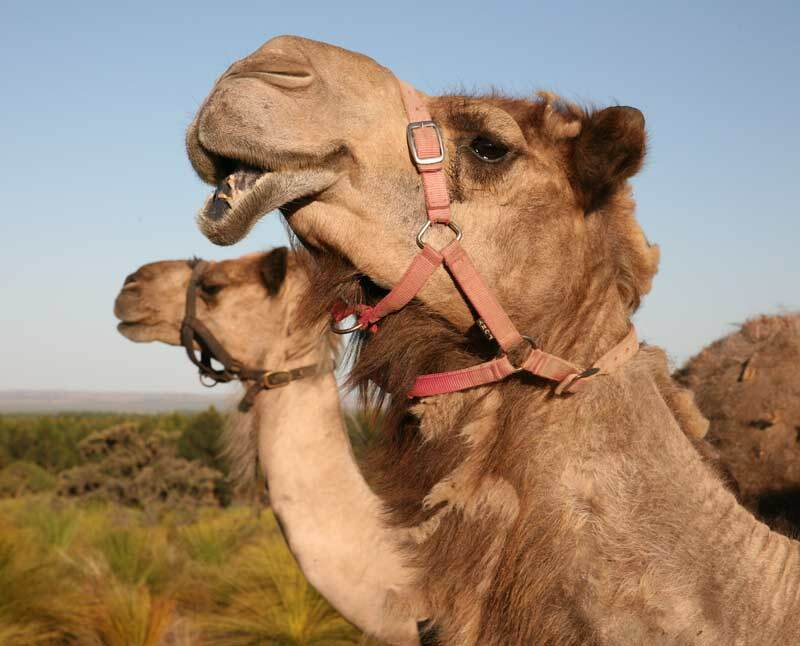 Stephen Geppert, a Western Australian cameleer, spent a year travelling across the Australian desert in 2011 with two camels. During his journey, Geppert was struck by how many camels were running wild and came to believe harnessing camels for their milk may assist in solving the environmental and economic problems they were causing while capitalising on a major national resource. Stephen was introduced to two individuals who had significant experience within the West Australian government and agricultural industries: Henry Steingiesser and the late and highly missed Hon. Kim Chance. Henry brought his son, Marcel Steingiesser, now our CEO, into the team. It was Henry, Kim and Marcel’s vision and strategy that turned an ‘on the ground’ idea into a commercial venture supported by the experience and ingenuity of Stephen, now our Dairy Manager. Good Earth Dairy was consequently established on 793 hectares of land in Dandaragan. 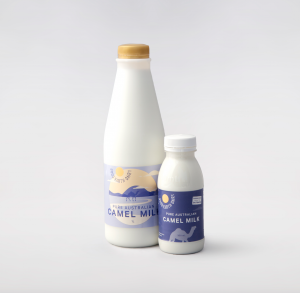 Our camel milk is made in Western Australia, by Western Australians. Camel milk is molecularly the closest to human milk because it’s got more whey. Like human milk the whey to casein ratio is higher on the whey side in camel milk. The casein is all A2, like human milk. The fat cells in camel milk are also smallest in comparison to any other milk on the market. Theoretically the smaller fat cells allow the milk to be better digested and for the minerals to be better absorbed in the body. It is important to note, this needs to be clinically validated but the theory is sound. Within the whey protein, camel milk doesn’t have the common allergen that is present in cow’s milk called beta-lactoglobulin. People often perceive themselves to be lactose intolerant when they actually may be allergic or slightly allergic to this protein. On those who are lactose intolerant, camel milk has only 60% of the lactose (the sugar) of regular cow’s milk, so people who are lactose intolerant may be able to tolerate camel milk. Camel milk has half the saturated fat of regular milk plus 10 times the lactoferrin of regular milk. Lactoferrin is a protein that performs an important role in protecting against microbial infection. The role of lactoferrin as a protein involved in immune response has been thoroughly investigated and is known to have roles in gastrointestinal health. Nutritionally, camel milk has approximately 3 times the calcium of regular cow’s milk, and approximately 2.7 times the phosphorous, both of which are associated with good bone health. Camel milk also has approximately 2 times the manganese and zinc and approximately 4.5 times the copper and potassium of regular cow’s milk. It also has approximately 2 times the magnesium which is associated with good muscle health. Camel milk is delicious in milkshakes, smoothies, coffee, with cereal or as an ingredient in your favourite recipes. As the milk is rich and creamy, it is recommended for cooking and baking. It can be used as a substitute to regular cow’s milk. We love a banana, honey, blueberry smoothie with camel milk! We encourage you to try our camel milk and discover the super food of the outback. It’s available now at The Herdsman.